Sono Sling Side Chair with Aluminum Frame by Tropitone - 8 lbs. This Sono Sling Side Chair with Aluminum Frame by Tropitone is a great choice if looking for a modern, attractive and economically friendly side chair. Give you and your patrons comfort as this chair uses high-quality sling fabric wrapped around a durable and rugged powder-coated aluminum frame. 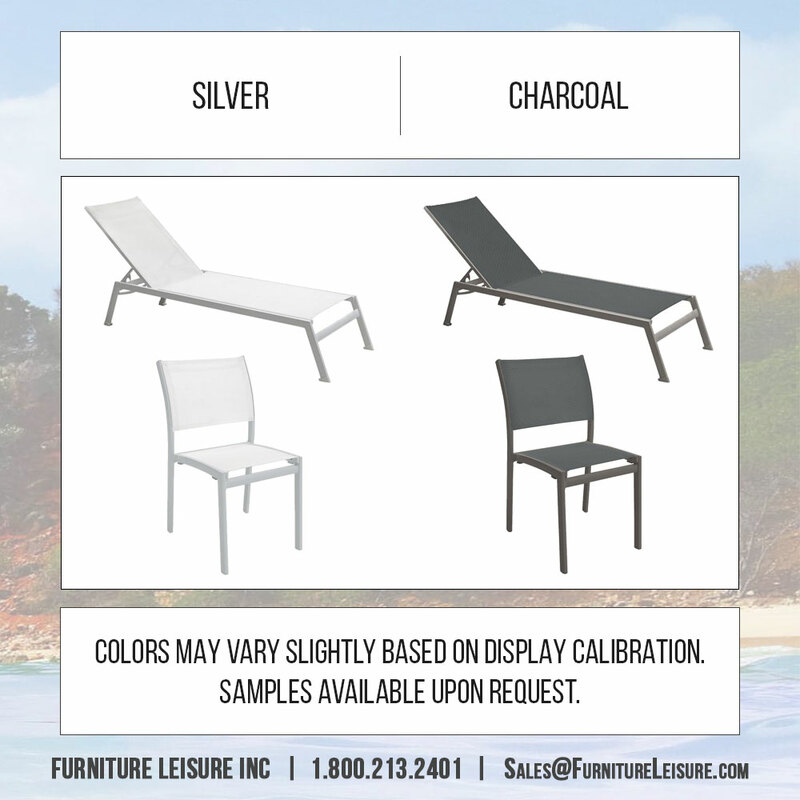 Use these alongside other Tropitone products such as the 20" Stackable Tea Table or the Sono Chaise Lounge. This is available in 2 designer colors which include silver and charcoal. This chair comes with a 5-year limited commercial warranty and is made in the USA. • 33.5" H x 18.5" W x 22.5" D - 8 lbs.